The 29-km Dwarka Expressway will be ready within the next 18 months, Gurugram Metropolitan Development Authority (GMDA) CEO V Umashankar said on Friday. “All obstacles have been removed,” he said at an event. 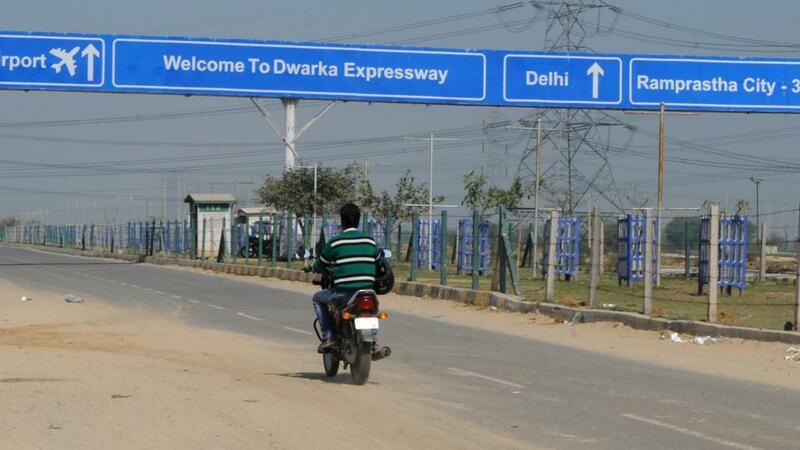 The Dwarka Expressway, which runs from Mahipalpur in Delhi to Kherki Daula in Gurugram, will help decongest the Delhi-gurgaon Expressway and bring relief to the lakhs of homebuyers who have invested in housing projects along the expressway. The project was stuck due to problems in land acquisition at New Palam Vihar and Kherki Daula. 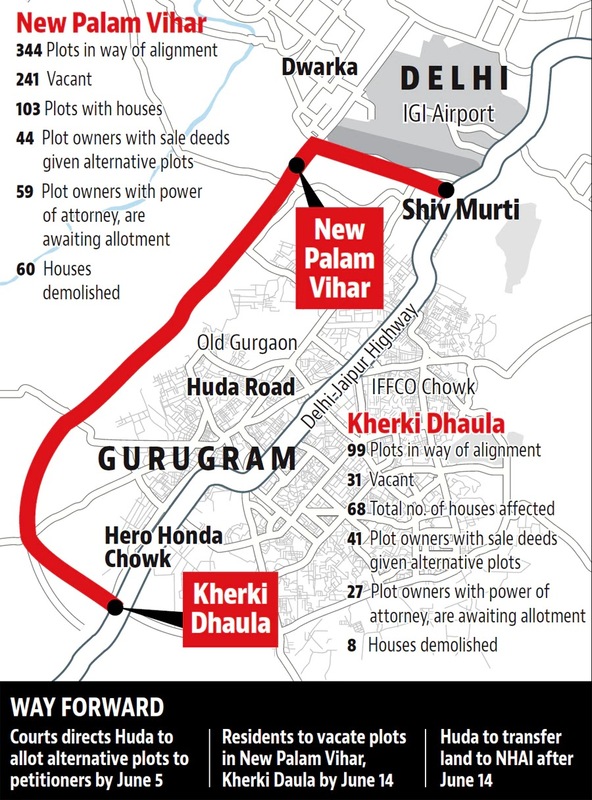 The Haryana urban development authority (Huda) had issued notices to 50 homeowners in New Palam Vihar Sector 110 and Kherki Daula in Sector 84 whose properties were on the land required for the new highway. They were told to vacate their houses within 24 hours or face demolition. Huda started demolishing houses on Saturday, the same day when the Punjab and Haryana high court stayed the demolition drive. However, by the time the court issued the stay order, 25 homes had already been demolished. On Tuesday, the high court ordered Huda to allot alternative plots to even those evictees who do not have sale deeds, effectively plot owners with the general and special power (GPA/ SPA) of attorney. Observing “the urgency of utilising the land for a project of national importance”, the HC ordered Huda to allot alternative plots by June 5. Huda administrator Chander Shekar Khare said that a list those eligible for alternative plots was being prepared. “We will send the list to headquarters (in Panchkula) tomorrow. Once the allotment process is complete, the land will be handed over to the NHAI (National Highways Authority of India) for the construction of Dwarka Expressway,” Khare said on Thursday. Though Khare did not provide a date for allotment of plots, he claimed that Huda was “trying its best”. The evictees, however, are not happy. They said the demolition drive was illegal as they have not been allotted plots as per the terms of an out-of-court settlement they had reached with the Huda in 2015. “It’s been three years since we were promised plots in Sector 110-A. We were also supposed to get a six-month window to build homes on these plots before being asked to vacate our homes,” said 28-year-old Sushobhan, an IT professional who lives in New Palam Vihar. The residents also alleged that the demolition drive started on May 26, several hours before the 24-hour ultimatum served to them by Huda was to expire. “A police contingent was also present to make sure the drive was carried out without interference from the residents,” said Puran Chand, 58, who has been living in New Palam Vihar for over a decade. Another resident, 40-year-old Vishnu Dutt Sharma, pointed out that the notices were issued in accordance with Section 18 of the Huda Act, 1977 (power to evict persons from premises of authority), which contradicted the promises made to residents in the 2015 agreement. “Now, most of us are living in rented homes. There is no clarity,” Sharma said.